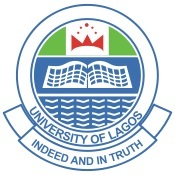 USING this medium, the Dailyschoolnews Nigeria team wishes to inform and notify all members of the public, that the University of Lagos, Unilag Post UTME registration form has been released online. Take note that the Unilag post utme registration for Admission into ALL COURSES/PROGRAMMES for the 2018/2019 Academic session has been scheduled and billed to close on the 3rd of August, 2018. Please take note that the Unilag post utme screening exercise is ONLY available for candidates who choose the academic institution as their first choice tertiary institution during their Joint Admission and Matriculation Board – JAMB CBT 2018 registration. It is also important that all applying candidates should note that if will not be sixteen (16) years of age by 31st October, 2018, they are not qualified to apply, and if they persist and applied, their application form will be rejected and discarded. All candidates whose first choice is University of Lagos and who did scored 200 and above in the JAMB Unified Tertiary Matriculation Examinations (UTME) are qualified for the screening. All candidates should take note that the Unilag Post UTME screening exercise has been scheduled to commence, starting from Monday, 6th August, 2018 to Friday, 10th August, 2018. It is advisable to come to the screening test venue with your JAMB original Result Slip with your Passport Photograph on it, but please take note that IT IS NOT COMPULSORY and 99% of the time, the school won’t ask for it. But if you have it, please, do go with it. Registration is quite simple and easy to do from your house. To apply for the UNILAG admission screening exercise, simply follow the rules shared below. When it loads up, proceed and click on Post-UTME Application. Step 3: After that, you are expected to click on Full Time Undergraduate Admission.